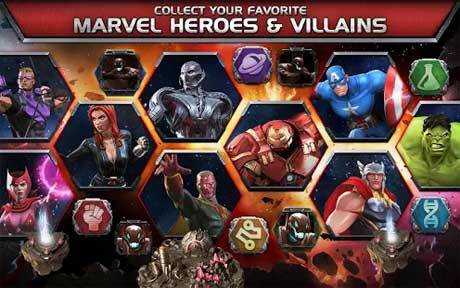 Marvel Contest of Champions 23.0.0 Apk + Mod God mode,Damage,skill,..
Marvel Contest of Champions is a game where you control some of the most emblematic heroes of the Marvel universe. Attention, worthless humans. I, Ultron, have infected The Collector’s Contest! Summoners, you will now understand the true power of a superior being, one evolved to perfected intelligence, should you get in my way. The ultimate goal – control of the Iso-Sphere and eradication of all lesser life forms! Assemble a mighty team of heroes and villains (such as Iron Man, Hulk, Wolverine, Storm, Star-Lord, Gamora, Spider-Man, Deadpool, Thanos, and Winter Soldier) as you embark on quests to defeat Kang and Thanos and face the challenge of a mysterious new super powerful cosmic competitor, ultimately to prevent the total destruction of The Marvel Universe. 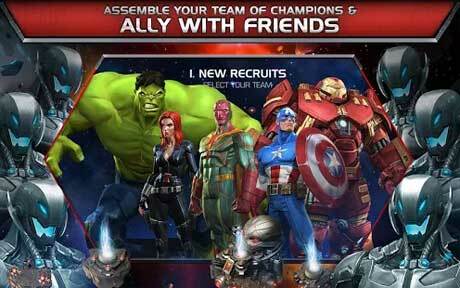 Ally with your friends and other Summoners to build the strongest Alliance. Strategize with your alliance, help them keep their Champions in the fight, and earn exclusive Alliance rewards. Collect, level up, and manage your teams of heroes and villains wisely to receive synergy bonuses based upon team affiliation and relationships taken from the pages of Marvel Comics (such as pairing up Black Panther and Storm or Cyclops and Wolverine for bonuses, or making a team of Guardians of the Galaxy for a team affiliation bonus). The more powerful the hero/villain, the better their stats, abilities and special moves will be. 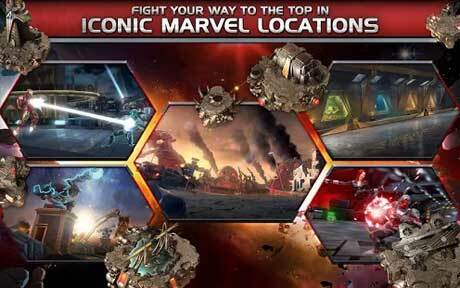 Journey through an exciting storyline in classic Marvel fashion as you explore dynamic quest maps and engage in a healthy dose of action-packed fighting utilizing controls developed specifically for the mobile platform. Fight it out with a huge array of heroes and villains in iconic locations spanning the Marvel Universe such as: Avengers Tower, Oscorp, The Kyln, Wakanda, The Savage Land, Asgard, the S.H.I.E.L.D. Helicarrier, and more! 3. if you played with mod before, you can install new mod over it. Procedure for installing this hack. please guys, how do I disable cheats? I want to play APKs but most of them contains cheats =/ Thanks. So I moved it there how do I activate it? Do we NEED internet? does it can be played offline? Will not login, how do I fix? how do u turn the mod on? how i can do that? i don’t know this mod… u can explane me? Hi Revdl. Do you have a max damage apk and obb mod for the 6.1.0 update of Marvel Contest Of Champions. I have installed the apk file and i have copied the .obb file but i don’t see anywhere the advance options… why? BJ can you tell me how to use this mod??? Actually mod is not updated to version 6.1.0.. Hope Admin will upload mod soon..
how does this mod is supposed to be working?!! you gave 4 download links so which ones we need ? i downloaded v6.0.1 apk and data,started the game without any problem.